In this tutorial we will explain the two oficial techniques to reset Android on your HTC Droid DNA. HTC Droid DNA is a device that came out to the market about two years ago, and runs Android 4.1 Jellybean. The two methods available to reset Android to factory settings are the usual ones: From the settings menu or using the hardware buttons. This last method is used if you don’t have access to your phone, maybe because you forgot your lock pattern, or for another reason. Before going ahead with any of the two methods, please remember that when you reset Android to factory settings on any device, you will loose any installed applications as well as your personal data, including messages, contacts, email, events created in the calendar, etc.. If you select “Erase all data” you will also loose your music, photos, videos and documents. 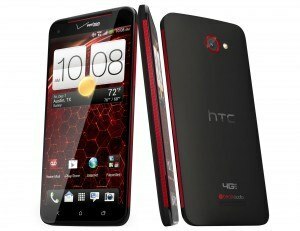 We advice that you do a backup of your HTC Droid DNA before proceeding. Make sure that your cellphones battery is charged at least up to 80%. From the applications menu, go to “Settings” and then click on “Backup & Reset“. If you want to delete all you personal files, for example if you will give your phone for someone else to use, select the “Erase all data” option. You will use this method to hard reset Android if you can’t access the settings menu on your HTC Droid DNA device. As with the first method first of all make sure that your cellphone battery is charged at least up to 80%. Press the Volume down button and hold it down, while also pressing and holding down the power button. An image with the three Androids will appear on the screen. When it does, release both buttons. You will need to press the Volume Down button to select “Factory reset“. You have successfully reset android on your HTC Droid DNA device!